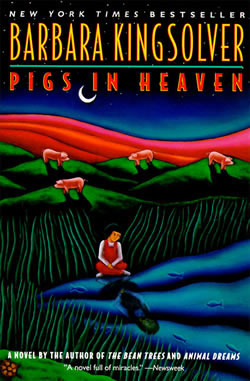 Pigs in Heaven is the sequel to Barbara Kingsolver’s great novel The Bean Trees. 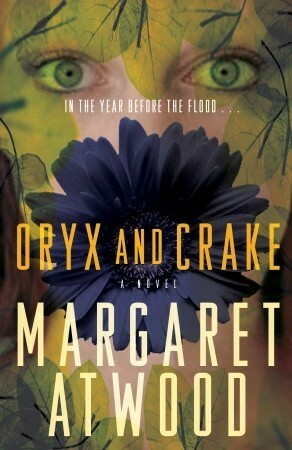 I didn’t realize this was the sequel until I was about to start reading. I picked up a book I hadn’t heard of, in good faith because I trust the author. I love Kingsolver’s writing style and the characters she creates. They’re familiar. I talk more about this familiarity in my write-up for Prodigal Summer. Anyways, as I was saying, Pigs in Heaven is the follow-up–so what’s it about? Kingsolver presents readers with a story about family and community and what it truly means to have a “home”. She asks: what are you a part of? what’s a part of you? And which is more important? It’s been maybe five years since I read The Bean Trees, and while some of the details of that book are not fresh in my mind, I still feel something along the lines of joy when I think about it. So expectations were raised with each page turn of Pigs in Heaven. And now I ask myself: did Kingsolver disappoint? was Pigs in Heaven worthwhile? The answers to both questions are no. Kingsolver offers readers a myriad of entertaining characters and surprisingly, this turns out to be both a good and a bad thing. The characters are hodge-podge–too mismatch and eccentric to be believable (in my opinion) I mean Jax, Barbie, Gundi (?) the list goes on…They’re all funny and interesting, but not realistic. And their humorous dispositions don’t mesh well with the very serious issue at hand; Turtle being taken away from the only mother she knows. Let me begin by saying this book is very well written. The narrative isn’t provided solely by one or two characters–it’s told by a ranging cast of other persons, animals and even inanimate objects*. The title of each chapter will introduce the reader to the speaker, who will subsequently narrate their point of view. 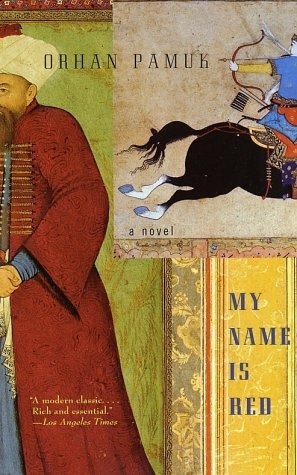 Pamuk integrates folkloric and religious elements of Turkish culture into the novel, so readers will find myth sequences woven into the main story line. Pamuk also invites the reader to participate. In some instances, characters are aware of reader presence and they’ll acknowledge when the reader has probably formed their own opinions about what has transpired in the story. And from dialogue, readers will encounter philosophical discussions about style, semi-sarcastic, xenophobic attitudes and criticisms of western culture, and generally indifferent attitudes to what many consider to be perverted or grotesque. Essentially, the story revolves around a man named, Black, as he unravels the mystery of a disappeared miniaturist**. Black’s primary motivation to complete this task is to win over his uncle, a prominent figure in the art community. By doing this he also hopes to rekindle his love for his cousin, Shekure. For me, Black’s character is very one dimensional. Also a significant portion of the book revolves around Black and Shekure’s relationship…which was slightly annoying because neither is particularly interesting or likable—especially Shekure. I’d like to think Pamuk included her illogical actions and irrational modes of thinking to make a point about the role of women in Turkish society***, but that may be a stretch…I really didn’t like her. I have to say, I put My Name is Red down quite a few times. I stand by the fact that it is superbly written, but after the first chapter, the pace slowed down and my interest didn’t return until about chapter 12. Maybe I was too eager to solve the mystery. I don’t know. I just know it didn’t meet expectations…I thought I would never put a book down which opens with a chapter titled I am a corpse. * We’re talking trees, portraits, colors, etc. *** I am not a feminist, or historian, or anthropologist or anything like that…and I know next to nothing about Turkey so…that’s just a guess–semi-educated guess. So…after reading this book I have questions. What are her values? How does she make her decisions? And why does she let the things that happen to her in this story come to pass? A week ago I jokingly said this reflection would be a series of questions, but now that I’m writing it, I realize I was only half-joking. I do have many questions. And I have many questions because there were many inconsistencies in this book. I’ll focus briefly on Doro and Anyanwu’s relationship**. Seriously. I understand Doro is powerful and controlling and manipulative. However, Anyanwu is powerful in her own right. She and Doro are equals in my mind. But where they are uneven are their motivations. Doro wants to build a race of immortal and unique beings just like him. To do this, he initiates selective breeding of groups of people across the globe and over generations. With this goal he handpicks Anyanwu, but she is “wild seed.” Or in Doro’s mind, she cannot be controlled…easily. But I beg to differ, he controls Anyanwu quite easily. Too easily. He threatens her children and her children’s children. And her children’s children’s children. So Anyanwu, being the mother she is, does what he tells her. For someone with her strength and life experience it was confusing and downright disappointing to read of Anyanwu’s abuse. But back to this talk of motivations. I tried to take myself out of it and understand. I don’t need to relate with a character to enjoy a book, I just need to understand why they do the things they do. And for the life of me, I couldn’t make sense of her decisions. She didn’t want to procreate with her husband’s son, but she did it anyways. She didn’t want to share her husband with other women, but she did it anyways. She didn’t want to believe Doro, but she did anyways. If Anyanwu was that committed to her community and her children why didn’t she try to eliminate Doro? If Anyanwu truly hated Doro (and she did, the book made this very clear from beginning to end) why have his children? Why show him love, or lust, or humanity? If Anyanwu found solace and freedom living among the animals as an animal (i.e. dolphins) why not remain as one? Why participate in systematic breeding and culling? I wasn’t looking for a happy ending, or a textbook heroine. I just needed things to be interesting and to make sense. 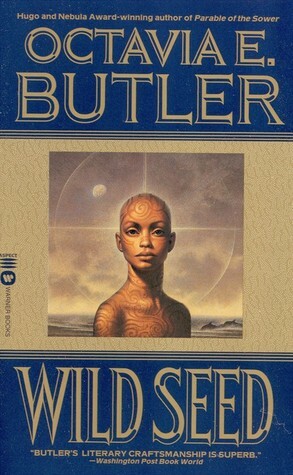 In the right context, “wild seed” might imply an inability to be tamed, or some degree of unpredictability. It might also reference a different or unknown gene pool. But Anyanwu was more like a dandelion seed, going wherever the wind takes it. *I didn’t have this image in my mind as I read, however, I was constantly wondering when Anyanwu would become a dynamic character–when she would show character development and maybe become said image or not. ** I have another interpretation where Doro and Anyanwu’s relationship is a twist on Adam and Eve…but that’s another conversation for another day.